There’s a reason why this grease-dripping, calorie-packed hangover cure is so famous in Canada. Now you can make one at home, too. The origins of poutine are in Quebec, but have long been disputed between the two towns of Warwick and Drummondville. Warwick claims their recipe was established in a now-closed restaurant named L’Ideal, while Drummondville’s poutine originated in Le Roy Jucep. Nobody is sure exactly when and where the dish was created, but its greasy-goodness fame has spread globally. Here’s how you can create the perfect poutine in less than 30 minutes. 1. Heat oil in a deep fryer at 365 degrees (Fahrenheit). Or if you don’t have a fryer, use a skillet. 3. Heat the fries in the oil until they turn brown. 4. When cooked, remove fries and blot with paper towels to remove excess grease. 5. Smother fries with cheese. 6. Smother cheese with hot gravy. Voila! The meal to make your arteries scream. The above recipe is probably the simplest way to create a poutine, but the most important thing to keep in mind is that there are no real rules. Cheese curds or shredded cheddar, gravy or special sauce, ketchup heaped on top or not… keep searching until you find that special, favorite flavor. Trust me, it’s a culinary adventure. There are also regional differences across Canada that help give a little kick. 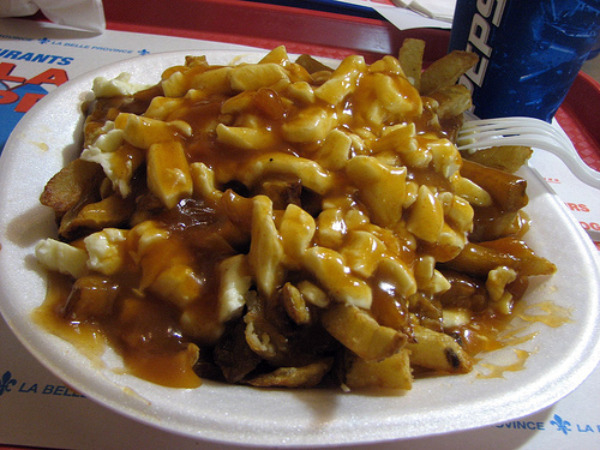 Quebec – Replace the gravy with poutine sauce, an arguably more popular option among many Canadians. Being from Newfoundland, I’m never entirely certain how the rest of the country does things, including food. The sauce is like thickened chicken stock, seasoned with pepper and onion flavoring, and powdered mixes can be bought in grocery stores. Newfoundland and Labrador – Newfoundlanders and Labradorians like to add “dressing” (turkey stuffing) to their poutines, a combination of bread crumbs, savory, and onions. When the dressing becomes soaked with the gravy, it adds great texture. 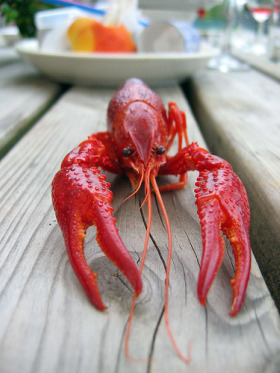 Nova Scotia – Nova Scotians are big on lobster poutine, which is like a regular poutine but includes lobster meat, chopped chives and hollandaise sauce with halloumi cheese. Other Atlantic Canadian additions – Some places in Atlantic Canada top their poutines with donair meat, which probably has about the same nutritional outcome as adding bacon to caramel corn. International Poutine – If you’d rather go international, try the Italian-style poutine, which replaces the gravy with spaghetti sauce and is topped with ground beef. Mexican poutine includes fries, carne asada, guacamole, sour cream, pico de gallo and cheese, and can also be served with hot sauce.